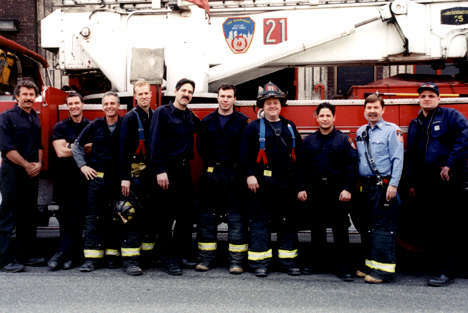 Ladder 21 was organized and located at 432 West 36 street. construction of the Lincoln Tunnel their quarters had to be destroyed. at 440 West 38 street. Members who made the supreme sacrifice. THEY SHOULD AND WILL NOT BE FORGOTTEN!